Horizon Fighting Championship is all set for its second go-around. This time, the promotion is supporting autism awareness. 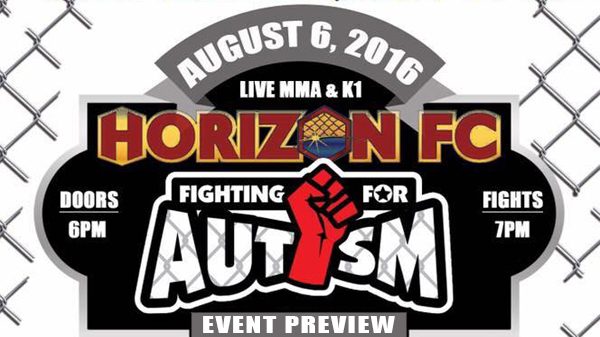 Horizon FC: Fighting for Autism is set for Saturday at the Sokol Gymnasium with $2 from every ticket going toward Fighting for Autism, which in turn funnels the money back into local autism projects. In the main event, David Steffan will face JP Gillespie for the Horizon FC adaptive bantamweight title. Steffan, out of Nebraska, and Gillespie, from Southern Illinois, met last year at a Prime FC event with Steffan getting the submission victory. Florida and Missouri are currently the only states that allow for adaptive mixed martial arts. Steffan fought Garrett "G-Money" Holeve in the very first adaptive MMA fight at Cage Championships in November, 2014. Safety is paramount when putting together an adaptive match. "They have to have a complete physical and their doctor's have provided medical clearance," Brian Higginbotham, Managing Director of US Operations said. "And there are some slight modifications of the rules." For example, there will be no head kicks and no slams. Both competitors will wear shin guards and there is no ground and pound to the head. Higginbotham was taken back by Horizon FC promoters Ace Anderson and Shaun Scott dedicating the night to a cause that is near and dear to many. "For them to step up in only their second show and want nothing in return is truly great," Higginbotham said. "For us, it is all about awareness and if this helps give a little perspective or helps someone better understand a family member or friend who may be on the autism spectrum, then it is a win for us." The co-main event will be for the Horizon FC welterweight title and pits Tavae Lewis against Clayton Whaley. 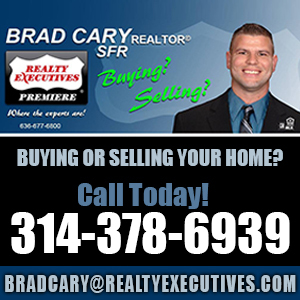 Whaley, who is a physical presence, has been putting in his time at St. Charles MMA while Lewis, who's fought primarily out of southwest Missouri, is tough to put away and has gone to the decision in almost all of his fights. In the evening's featured bout, Matt Matteson will meet James Dalton. Matteson looked great in a cruiserweight K1 match last month and continues to improve every trip to the cage. One fight worthy of keeping a close eye on is Nathan Stearns vs Sam Tamayo. Tamayo has taken on all comers during his climb up the amateur ranks. Perryville Jiu-Jitsu's Stearns submitted Demeterius Cannon in his last trip to the cage is also a quality veteran of the ammy scene. The preliminary card will feature a handful of youth grappling and one K1 bout. The undercard is mostly filled with MMA bouts. For more information, visit the Horizon Fighting Championship Facebook page. Horizon FC: Fighting for Autism, SOKOL Gymnasium. Doors open at 6PM, fights at 7PM. The Sokol gym is located at 4690 Lansdowne Ave, in St. Louis.